Add a piece of inspirational décor to the walls of your home with this stunning decorative hanging plaque from East of India, featuring a sketched illustration mixed with an inspiring quote. 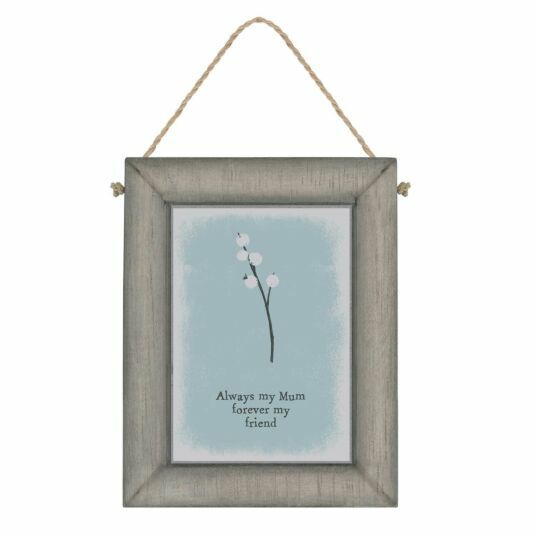 The artistic picture features an illustration of a white berry sprig set on a pale blue background. Underneath reads the quote; ‘Always my Mum forever my friend’. This piece includes a piece of rustic twine along the top side, allowing for you to easily hang the piece from anywhere throughout your home including on a wall or door. 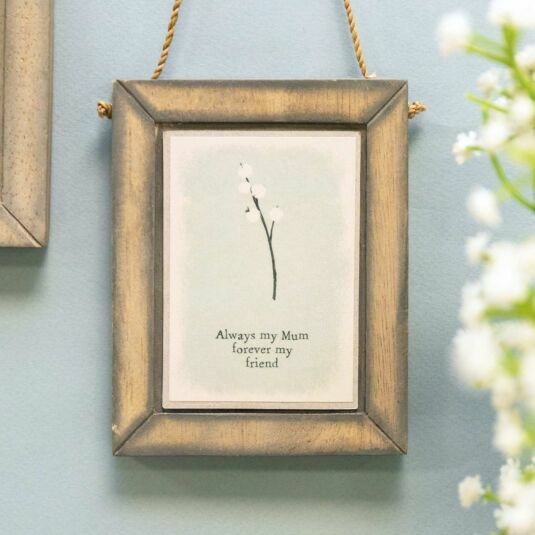 Perfect for any home, this wall plaque by East of India would make a decorative addition to any home and a wonderful Mother’s Day gift for your wonderful mum.